GLOBAL VOICES ADVOCACY: Ali Abdulemam, a leading Bahraini blogger and Global Voices Advocacy author, was arrested earlier today by the Bahraini authorities for allegedly spreading “false news” on BahrainOnline.org portal, one of the most popular pro-democracy outlets in Bahrain, amidst the worst sectarian crackdown by the government in years, and accusations of a supposed “terror network” involving several political and human rights activists. The BahrainOnline portal is censored in Bahrain. He sent an email earlier today mentioning that he got a call from the Bahraini national security just before his arrest, then arrested him and alleged that he was trying to flee. 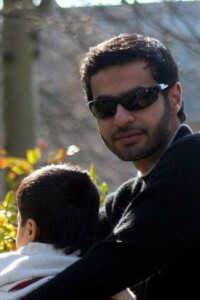 Ali was arrested before also for content published on his portal, and he contributes occasionally to Global Voices Advocacy and Global Voices Arabic Lingua. An online campaign calling for his freedom is now active.